Uncle Julio’s is a Mexican from scratch kitchen serving only the freshest ingredients. 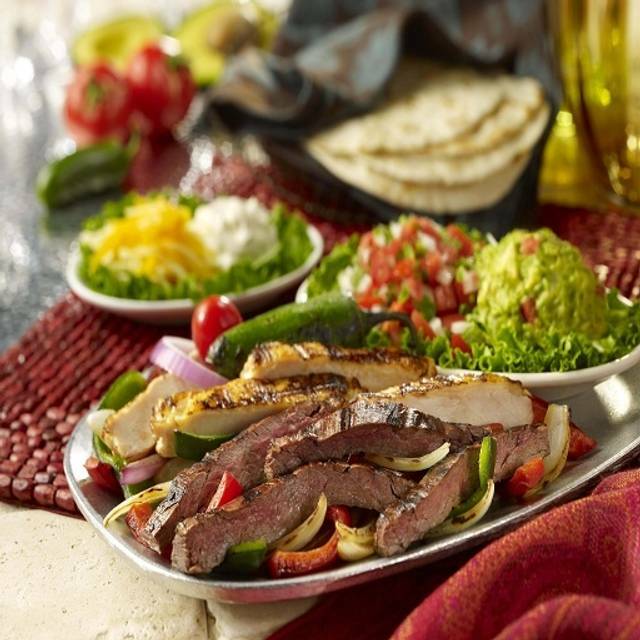 Specialties include: chicken & steak fajitas, tender filet mignon, and bacon wrapped shrimp. Other favorites include: seafood fajitas, shrimp al pastor, red snapper, or ahi tuna served with homemade corn tortillas or bibb lettuce. Uncle Julio’s menu also includes Tex-Mex classics such as tacos, enchiladas & tamales all with a selection of sauces made daily. Insider tip: order the tableside guacamole. It’s prepared for you at your table; if you like it spicy kick it up a notch with fresh chopped jalapenos. Uncle Julio’s has a vast drink selection. Try our fresh margarita of the day, made to order with fresh fruit. If you prefer a frozen drink then the Swirl is definitely the perfect choice. The Swirl is frozen sangria & frozen margarita layered together dating back to 1987. Took my husband there, kids loved their food as well. The chocolate pinata was awesome and the fresh tortillas are amazing! Waiter was very unfriendly, and service was very poor. This may sound like a minor complaint, but it made the whole dining experience terrible. We were seated fast and the meal & service was excellent. Definitely noticed a change in service on this visit tho we still enjoyed ourselves. Our waitress was good but I think they had her working too many tables. Manager came over to ask about my Mother’s gluten sensitivity and suggested she change her enchilada sauce to a white queso to err on the side of caution, then both her and my fathers orders came out all wrong. I don’t think it was the waitresses fault-must have been a miscommunication between the kitchen and Manager. They fixed it, brought out new plates and the waitress apologized but it put a bit of a damper on my bday celebration since they felt guilty for asking their orders to be corrected (but they couldn’t pay $15 for 3 cheese enchiladas when they ordered beef, chicken and cheese and onion!) and we were all done with our dinners by the time their corrected dinners came. Oh well-the salsa is so good that subpar service won’t exactly stop us from going back! Went for my birthday. Andrew was our waiter and was great! He had a great memory with our order. I give him extra kudos for dealing with our party!! A few of us were unruly. Great food and service! we had a reservation for 6:30, (One Loudoun location) arrived at 6:20 and was seated promptly.....however, it took a while for anyone to service our table. when he finally arrived he (Victor) took our drink orders. they were very busy so yes, it did take a bit for drinks to come. he was very efficient; took our order and got it to us in a sufficient amount of time. this was our second time here; the first time we sat at the bar and was served drinks and our meal in a very short amount of time. the difference we saw with sitting at the bar was we noticed we had more quantity of food than sitting at a table. cant figure that out but i think the next time we go we will opt for the bar as we can get more bang for our buck!! Overall, both times were very enjoyable, the food was on point and the service was as expected considering how busy they were. we will be returning!! The food was delicious but we felt there was too much of it ... we overate and felt bloated the next day.... even though we did take a to go container home. I love the Reston, Fairfax, and Arlington stores, but live near the Loudoun store and really want it to be great, but it has so many shortcomings! I’ve tried this store at least a dozen times and never been satisfied. The chef seems not to follow the standard recipes. The salsa is almost burned numerous times, sort of blackish instead of reddish with charred bits like other stores. My husband and I asked for salsa carne as sauce for our Juanita’s platters and the request was ignored. My husband decided to go ahead and keep his but I requested mine to be returned to fix it. Then, almost 15 minutes later after my husband was finished eating, they finally brought mine. Nothing like going to dinner together and both eating alone! As well, the ground beef recipe was totally different than other stores. It was more boiled than browned and it was very watery/full of dripping juice, so much so that my plate was full of liquid and my enchiladas were soggy. I would love to love this store because I live very close to it, but you are making it really hard. Please fix it! The restaurant was great but they do not respect the Open Table Reservation time, it was a 30 min wait for a table. The sever was fantastic in accommodating a large party. Timing of food was good and making my friend feel special on her birthday was an added bonus. Everyone loved the chocolate piñata dessert. Will definitely return. There is something wrong with this Uncle Julio’s. Service was extremely slow - food was sub par - chicken fajitas were oily and under cooked. Been going to Uncle Julio’s in Bethesda and Reston for over 25 years. This one has a problem. I wondering if their chef/recipes have changed. The salsa and regular entrees were not like what we’ve experienced before and we go frequently. Uncle Julio’s is my favorite Mexican restaurant when it comes to chains. Their food is delicious and their chips are addictive. I love how everything is made in house and practically right in front of you. It is on the pricier side but it’s excellent for celebrating and special occasions. We celebrated my birthday here and was sure to get the chocolate piñata which is my fav part. Staff was friendly and pleasant I always have a good time when I come here! I usually choose the fajitas or the chicken fajita quesadilla. Their entire menu is delicious so you can’t really make a bad choice. Worth coming to check out if not to at least celebrate at! Thank you...we are thrilled fun was had by all! The food was excellent and the waitress got all of our special requests down correctly. Was just a bit noisy because our table was close to the bar/kitchen area. Awesome! We are so glad you enjoyed your time with us! I actually introduced uncle Julio’s to my family and friends. My coworkers. I the evening I came I brought a new girlfriend so she’ll be back with her family. Great food and great service. Excellent value point. Thank you! We are so glad you had a great time! Our server, Sawyer, was great! We never had to wait for a refill, our food came out quickly, and everything was exactly as we ordered. We'll definitely be back (and will request the same server). Colin was a great server, my water was filled without asking and our orders were quick and correct. Great service, great food, great atmosphere! First time, but won’t be last time..! George, Welcome! We are so happy you had a great time! Great food and fantastic waitress with exceptional customer service. We enjoyed our dinner and dining experience. Very accommodating for a large party, service and food was great! 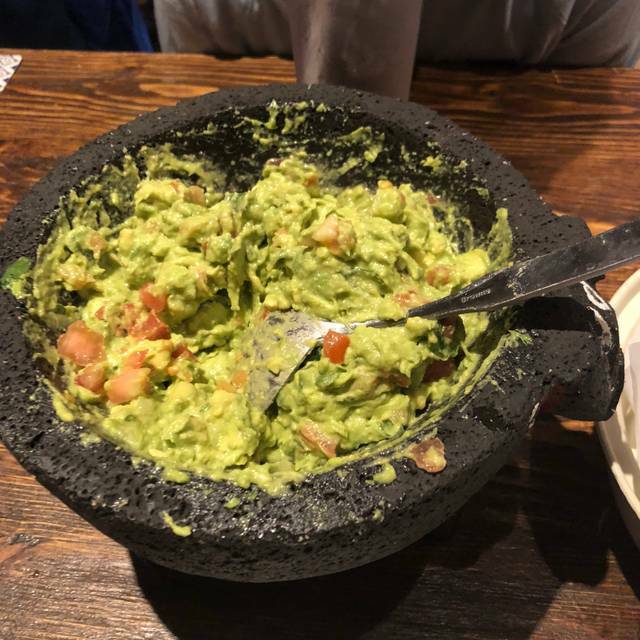 The tableside guacamole is delicious. The chocolate pinata (classic) is also delicious. The rest of the food is pretty good. The music is always very loud there, like they are aiming for a fun bar atmosphere rather than a restaurant as it is hard to talk when there are more than 2 of you there. Hello kbdining, thank you for your business and review for us to develop and improve! We went on Valentines Day. The place was PACKED but the staff handled it with grace. Our service was fast, the food was AMAZING. I wish they had some kind of chocolate desert besides the pinata. I've only been twice, but I can't wait to go again. Sarah, thank you so much! We a thrilled you had such a great time on Valentine's day! As always, food was excellent. The chicken is always nice an moist. The service was the best we have had at this location. Unfortunately the restaurant did not seem to honor our reservation. We had to keep reminding them that we had made a reservation. The food was great and the waiter was very friendly and helpful. My only problem was the hostess. She was talking with an attitude and on top of that even though we came ten minutes earlier than our reservation, we had to wait for 30 minutes more to get our reserved table. I don't see the point of reservation of a table if we still get to wait. I wouldn't recommend this to a friend who has a surprise party like we had because it took forever and I have zero trust now in that restaurant that it'd get the table on time. All the maanger said was that "he cannot kick the customers out for us".He obviously poor planned the seating and let people in when he shouldn't have. I'm very upset because it's one of my favorite restaurants and i live near by. I'd definitely not come back. We had a great time celebrating my mom's 70th birthday with you! Thank you for the excellent service!